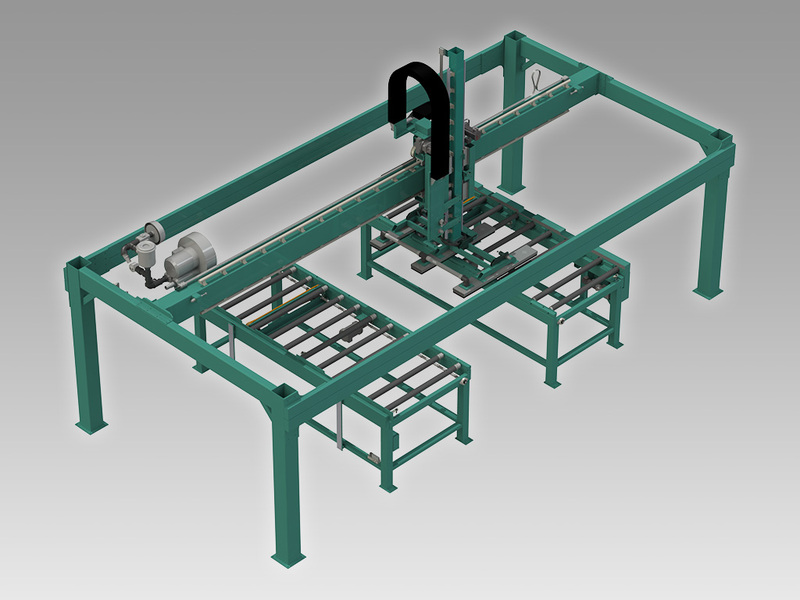 The Vision-FS Feeder/Stacker is the first station in a system of three machines designed to detail doors for architectural hardware. All together the system is comprised of the Vision-FS, Face SS, and Edge SS. The Vision-FS can handle mixed-size door stacks with no adjustment, enabling a single operator to efficiently inspect door and machining details in the FACE and EDGE. The Vision-FS automatically feeds a new door onto the FACE’s caster bed for machining as soon as the previous door is fed out to the EDGE. After a door is finished in the EDGE the Vision-FS removes it and places it on the completed stack.